Ain’t nuthin’ like goin’ out on top. 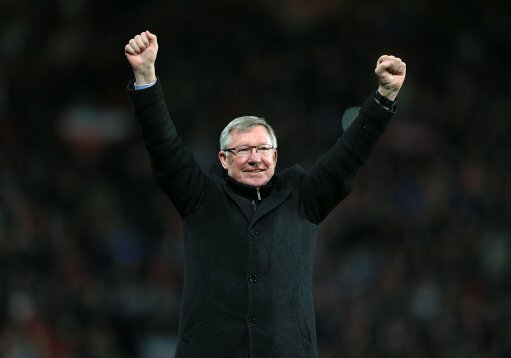 A week or so after having sewn up the club’s 20th league title, Sir Alex Ferguson has announced that he is to step down as manager of Manchester United at the end of the 2012/13 season at the age of 71, after 26 years (and 38 trophies) in charge at Old Trafford. “The decision to retire is one that I have thought a great deal about. It is the right time. It was important to me to leave an organisation in the strongest possible shape and I believe I have done so. Wow. You knew it was going to come eventually, and he’s definitely come close to calling it quits before, but a Premier League landscape without Fergie front and centre is going to take some getting used to. prepare for all the abuse to the greatest manager of all time,,jealousy makes me laugh. This was an unpleasant bit of news to wake up to. i was born 5 dec 1986, my entire life fergie has been the man in charge. The man has given me so many great memories and i will never forget what he has done for Man Utd. But as they say noone is bigger than the club, and all good things must come to an end. …am i bad premierleague\football fan for worrying my blue heart will be broken cause mourinho might jump to manchester instead of london? Absolutely devastated. I’ve been a Man United fan all my life and a massive part of me, with that, has retired, too. Football will never be the same for me. It’s becoming more of a business and the older I get, the more I start to miss the likes of Raul, Batistuta and Paolo Maldini. Undoubtedly the greatest manager in modern time with a matchless record; delivered sheer entertainment and passion to the game. Always up for a challenge and never gave up. Pure class. Honoured to have watched him all my life. Thank you, dearly. Just looked on the stock market and shares in Wrigley’s gum have plummeted.